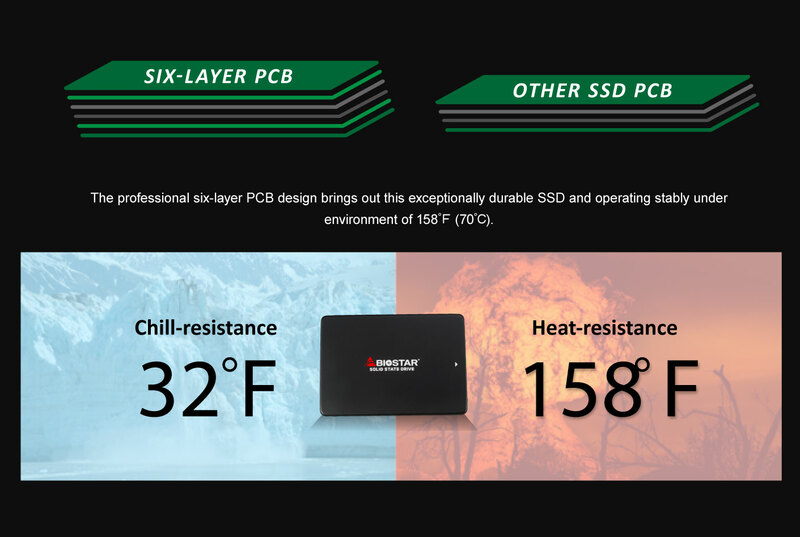 Exclusive design concept of U.F.O provides you the much more exceptional performance than that of traditional SSD! 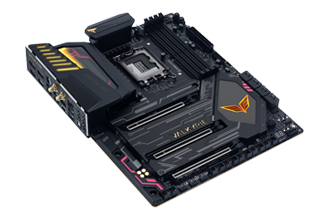 Power your gaming PC! 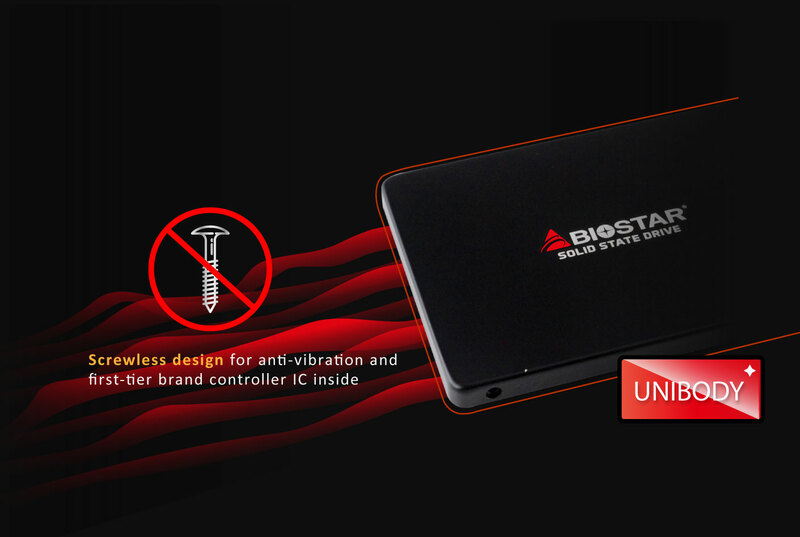 To fit with your PC or laptop perfectly, SSD of this series is uniquely designed with the premium laser unibody screwless metallic case with rounded shape and the super slim size 6.8mm to make your PC DIY style stand out and steady the chassis. 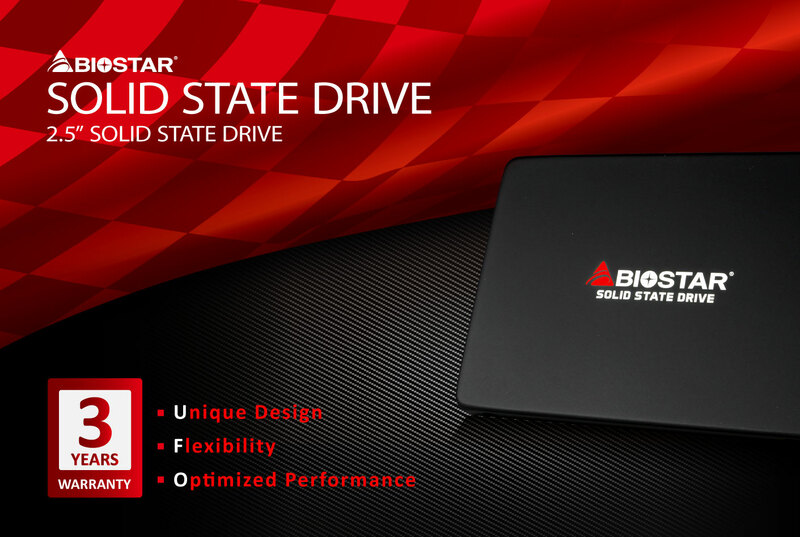 To be much flexible for most of use environment, BIOSTAR S130 series SSD is the first market-leading one to adopt 4 power management chips from the worldwide IC manufacturer TEXAS INSTRUMENTS, for effectively prolonging its lifespan and enhancing its durability. 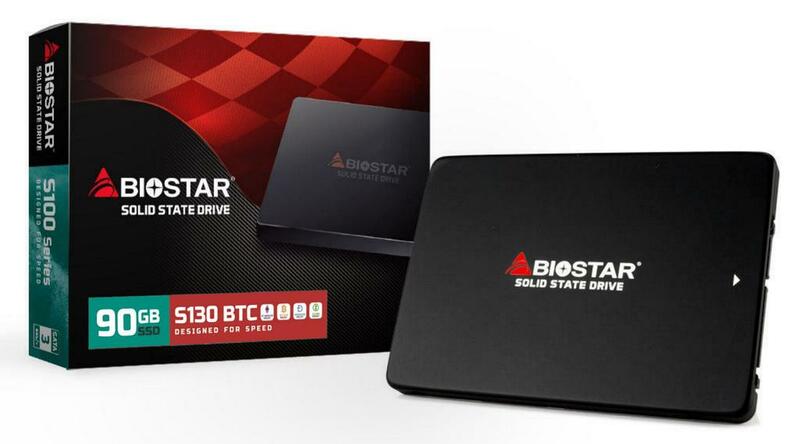 Furthermore, it can operate continuously at the key moment for data transfer and high-frequency read-write loading even under the toughest environment. 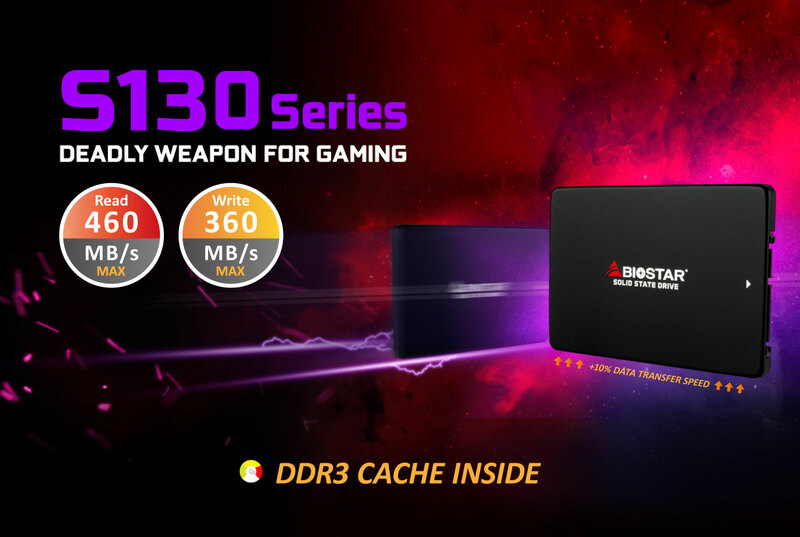 For virtual reality gaming or 3D video content, BIOSTAR S130 series SSD with high speed DDR3 cache and top-notch memory module provide 2 times faster data transfer rate than that of traditional SSD. Moreover, the combination of six-layer PCB and break-away grounding design bring out stable signal frequency. 6-layer PCB with highly reliable operating for heavy loading. 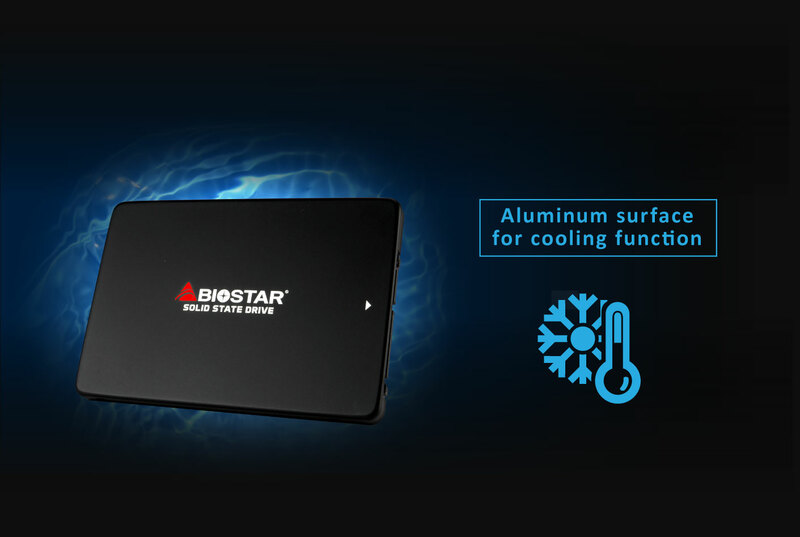 Laser metallic curved case with premium aluminum surface offers the excellent cooling solution and brings the fashionable element for your personal style.